Click images below to see a larger version! 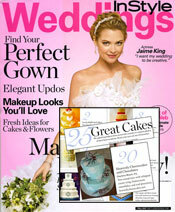 Heavenly Cheesecakes & Chocolates has been recognized as one of the top bakers in the nation by WEDDINGS InStyle magazine. Click image for details. 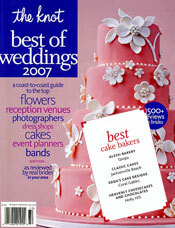 The Knot magazine has chosen Heavenly Cheesecakes as one of the top bakers in Central Florida. Click image for details. Love is in the air and so is the delightful aroma of sweet and luscious wedding day confections baked especially for a couple in love and the guests who will share in their celebration. When selecting the professionals who will help make your wedding day a complete success, choosing your wedding cake designer or baker should be high on your list of priorities. 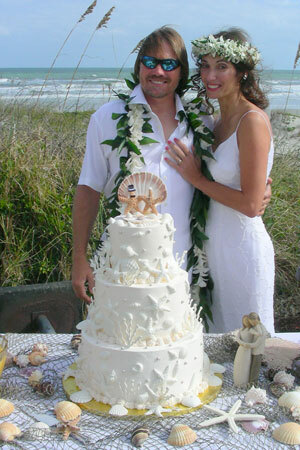 Did you know that when your guests enter the reception area, the very first thing they look for is the wedding cake? It is a work of art created especially for the bridal couple on their special day. It will be admired, photographed and finally tasted, bringing delight in many forms to all present - providing you've done your homework! If you are in the area, come in and see our many cake designs. 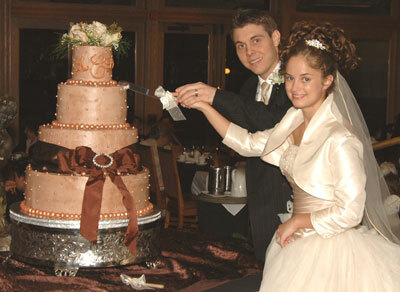 We specialize in Cheesecake Wedding Cakes iced with Whipped Cream Icing. 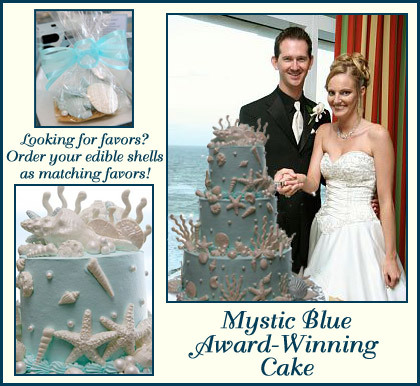 But if you prefer, we can custom design your dream cake. 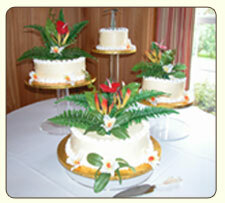 We have many other cake varieties to choose from. All of our cakes are moist and creamy and we offer a variety of fruit and mousse fillers that will help you customize the perfect cake for the perfect occasion. We have white, carrot cake, banana cream and chocolate cake!